Our new Cyber Protection Program infographic highlights the importance of a mitigating security risks. Learn more about the Tyco Security Products Cyber Protection Program here. As with any industry, there are a slew of acronyms that are used. Cybersecurity is no different. To completely understand the standards and best practices for cybersecurity, you must understand the various groups and terminology being used. Developed over five years from providing critical solutions to the U.S. Government and other multi-national customers, Tyco Security Products Cyber Protection Program is one of the first in the industry to offer a holistic, six-part approach to cyber security for physical security products. We have effectively worked with government agencies to meet the appropriate standards and validations. Below is an explanation of many of the various cyber security groups and common terminology used. Federal information Processing Standards (FIPS) are a set of standards that describe document processing, encryption algorithms and other information technology standards for use within non-military government agencies and by government contractors and vendors who work with agencies. Having a FIPS validation ensures that encryption completed properly. Test results are validated by the United States National Institute of Standards and Technology (NIST), yet another acronym. The Federal Information Security Management Act (FISMA) is United States legislation that defines a comprehensive framework to protect government information, operations and assets against threats. View the Tyco Security Products FISMA-ready configuration guidelines. These guidelines apply to Software House CCURE 9000 and American Dynamics victor video management system (VMS) software and VideoEdge network video recorders. The North American Electric Reliabilty Corporation (NERC) is a non-profit organization that works with all stakeholders to develop standards for power system operation, monitoring and enforcing compliance with those standards. NERC Critical Infrastructure Protection (CIP) is 9 standards and 45 requirements covering the security of electronic perimeters and the protection of critical cyber assets as well as personnel and training, security management and disaster recovery planning. View the Tyco NERC-CIP V5 ready configuration guidelines for Software House CCURE and iStar. The Defense Information Systems Agency (DISA) is a United States Department of Defense (DoD) agency that provides information technology (IT) and communications support to any individual or system contributing to the defense of the United States. Security Requirement Guide (SRG) is compilation of singular, actionable statements that comprise a security control or security best. An SRG is used by DISA field security operations and vendor guide developers to build security technical implementation guides (STIGs). I know we cannot stop with the acronyms. A STIG is a guide for implementing IT systems within the DoD. View the Tyco DISA security requirements for VideoEdge using the General Purpose Operating System SRG. System Administration Networking and Security (SANS) released Top 20 security vulnerabilities. These are security controls for protecting a network. VideoEdge and victor have been designed and have had the necessary features implemented to assist our installers and users with configuring their networks in the manner they need to implement the SANS controls they elect. Learn more about our cyber protection program. American Dynamics introduces Dan Howard as the new Area Sales Manager for the Midwest. 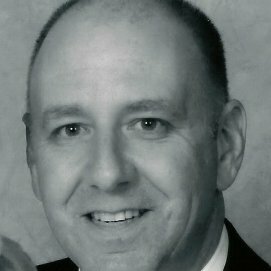 He will oversee sales activities for American Dynamics VideoEdge video recorders, victor video management system, storage solutions and monitors in Illinois, Indiana, Kentucky, Ohio, Michigan, Wisconsin, West Virginia and Western Pennsylvania. Dan resides in Cleveland, Ohio. Dan brings a vast knowledge of video surveillance systems and IP cameras. Most recently, he was a regional sales manager for a video security company. If you have any American Dynamics questions, please contact Dan. We look forward to working with you. 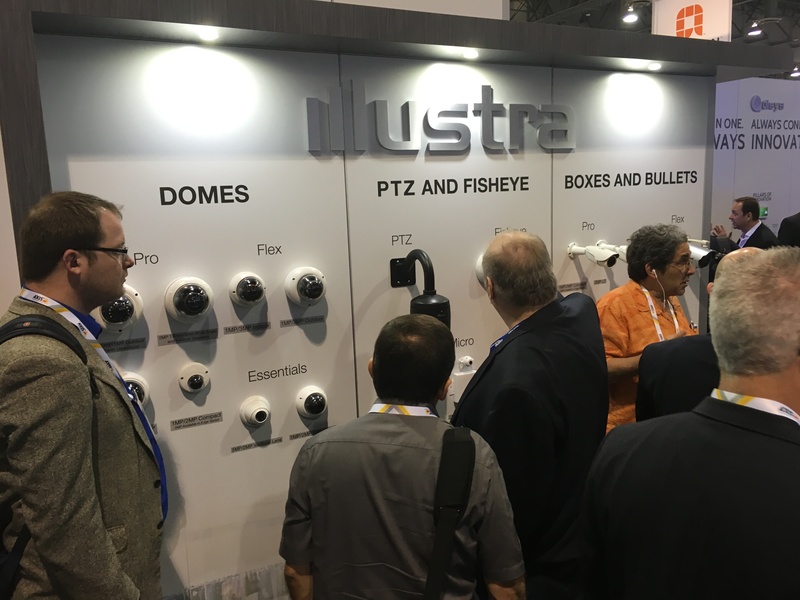 ISC West, held on April 6 – 8, 2016, drew large crowds to the Tyco Security Products / Illustra IP camera station. We hope you had the opportunity to learn more about our full range of new Illustra domes, PTZ, fisheye, boxes and bullet cameras. Illustra showcased its new Pro 2MP mini-dome IP camera with its new UltraVision low light technology to maintain better quality color video. Beyond the exceptional low light performance, this new mini-dome features true wide dynamic range of 100 db and minimizes bandwidth usage and storage requirements. American Dynamics VideoEdge and Exacq demonstrated their VMS software running Illustra IP cameras. Illustra cameras combined with another Tyco Security Products solution, whether it is American Dynamics or exacqVision, provides the easiest, high quality, high definition video surveillance solution. 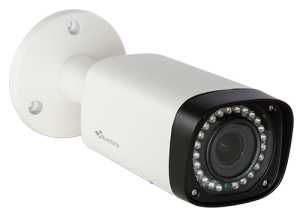 The new Illustra Pro 2MP 30x PTZ camera shown in the booth at ISC West displayed its powerful optical zoom and high definition video quality to deliver critical details. Booth visitors had the opportunity to see the new area zoom support for Illustra cameras in exacqVision in action. In live view, users can utilize area zoom for pan-tilt-zoom (PTZ) cameras. This allows users to draw a box around a specific region to instantly optically zoom in to see greater detail on objects or people in the distance. In case you missed the booth demo, watch the short recap below to see how it works. If you didn’t attend ISC West or attended and want to learn more about our Illustra IP camera line, contact your local sales representative. Illustra’s new UltraVision low light technology gives users a new solution to deliver high quality color images in challenging lighting. As the amount of light in a scene decreases, the Illustra camera will automatically switch to night mode. 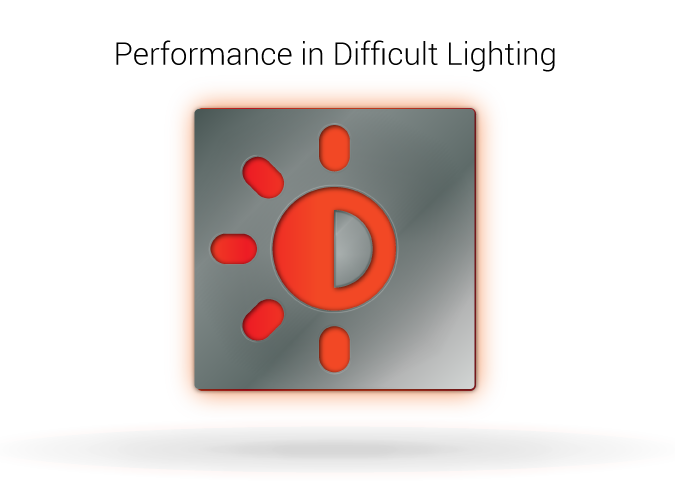 In night mode, UltraVision works to provide the best quality color image. Illustra UltraVision technology highlights the Pro mini-dome camera’s ability to perform at a new level in the most difficult light conditions. UltraVision allows the camera to effectively capture high quality color video quality in the darkest environments. The Illustra 2MP mini-dome will maintain color video well below 1 lux. 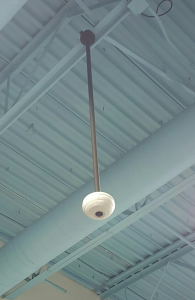 The Illustra 2MP mini-dome camera utilizes a high sensitivity low noise CMOS progressive sensor, along with UltraVision technology, to deliver high quality color video in the most extreme low light conditions. 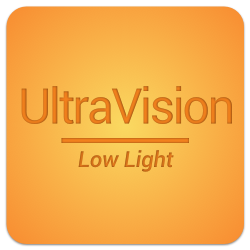 UltraVision allows the camera to effectively maintain color video well below 1 lux. This technology is most useful in applications such as indoor and outdoor parking lots, indoor warehouses, dark areas of retail establishments and alleyways. With UltraVision technology, the Illustra mini-dome provides more color video detail for users to more quickly identify people and objects of interest in dark areas. With the 100 db wide dynamic range and noise reduction combined with UltraVision low light technology, the Illustra Pro mini-dome produces exceptional video quality. View the Illustra camera featuring UltraVision low light technology. The new high definition Illustra Pro 2 megapixel mini-dome IP cameras introduce UltraVision low light color video technology. Watch this video to see the new Illustra low light video quality in action. 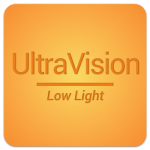 The new Illustra UltraVision technology allows the camera to effectively maintain color video well below 1 lux. 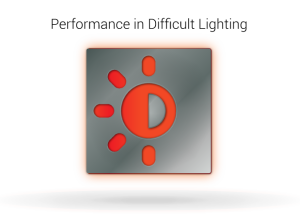 This drastically improves the ability to identify people and objects of interest in environments near total darkness. Illustra UltraVision is ideal for applications such as parking lots, alleyways, warehouses and other lowlight settings where maintaining color and video quality is critical to the surveillance operation. 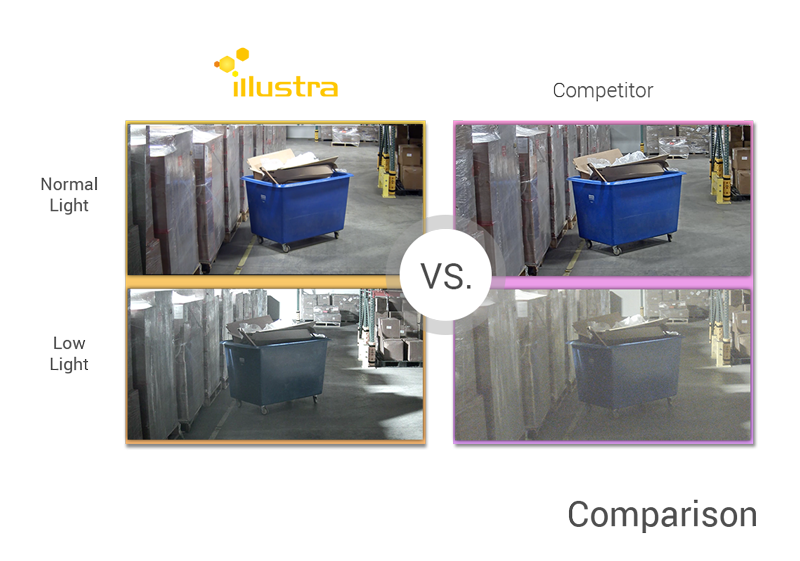 In low light mode, UltraVision provides the color detail needed for users to more quickly find clear video evidence for investigations. 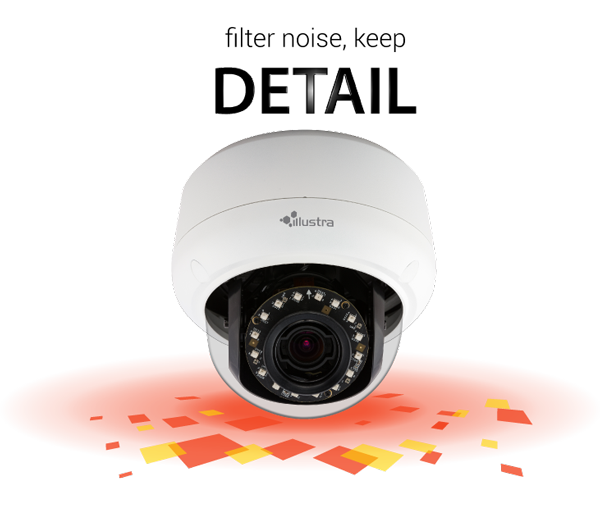 The Illustra 2MP mini-dome also features advanced on-board analytics including motion detection, face detection, blur detection and tampering. The camera’s features minimize bandwidth use, storage requirements and optimize performance and video quality. 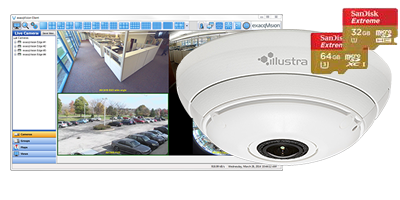 Compatible with American Dynamics VideoEdge and exacqVision video management system (VMS) software and recorders, Illustra Pro mini-dome cameras can be easily configured into a video security system saving installation time and money. The camera is exacqVision Edge ready, so exacqVision VMS software can be installed directly on the camera for a complete high definition IP video solution. Learn more about the new Illustra Pro mini-domes and UltraVision low light technology on the Illustra website. 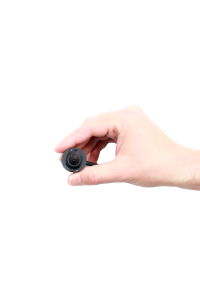 The Illustra Pro 2MP micro camera provides a low profile with a high performance solution Watch this video to see how the Illustra Pro 2MP micro camera excels. Learn more about the new Illustra micro camera. 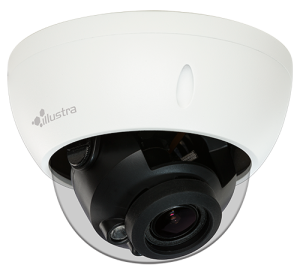 The new Illustra Essentials 1 and 2 megapixel outdoor mini-domes and bullet IP cameras offer a low cost, high definition video solution. Watch this video to see the cameras in action. Learn more about Illustra Essentials cameras on our website. If you have questions, contact your local sales representative or call 317.845.5710.